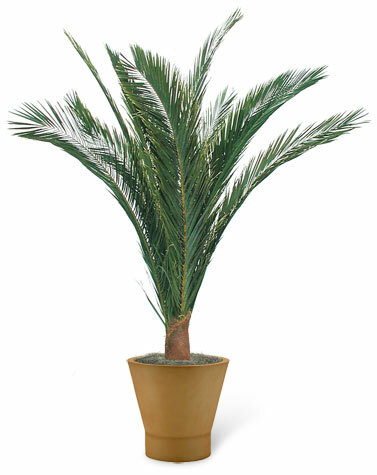 Island Date Palm with preserved foliage, shown here in 5' size, 11 fronds. Each plant has 11 fronds and is available from 3½ feet to 10 feet tall. Fire retarded.